If you are in the US or Canada, call the access number below to hear how the system answers. Want to make a cheap international call from your country? With this service, there are thousands of international access numbers available for you to use globally. You do not need to be in the US or Canada to use this service. You can view all global toll free and local access numbers when you check rates. The caller ID you are calling from, when registered, will be recognized by our system. You can then dial-out to any global phone number, landline or mobile at cheap rates. You'll want to have your Caller ID 'enabled' so you won't need to enter a PIN. 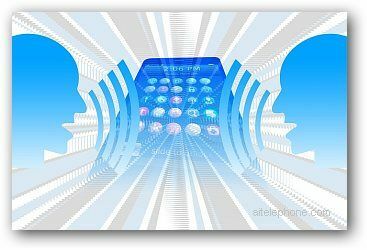 You can register as many phones as you wish that you intend to make international calls from such as your cell phone, landline, office phone, etc. Or register one line then login later to add other phones. You will now have the ability to place cheap, quality international calls even if you do not have an international calling plan with your existing carrier. 1. Choose and dial a local access number in the country you are calling from such as the US, Canada, UK, or 49 from other countries. 2. The system will recognize your phone number 'caller ID' and give you immediate access to our cheap call gateway to immediately connect your international call. 3. You will then be prompted to enter your the number you wish to call. The system instantly connects your international call at the low rate instead of your high existing rate on your mobile phone or landline. Enable customers located globally to save money on making international calls with no monthly fees, no hidden charges and no added taxes and without making any changes to your existing services or buying new equipment or devices. No need to use VoIP or a computer to make a cheap international call. Many of our customers use the service to make calls within their own state, province or country. All that is required is your existing cell or landline phone. 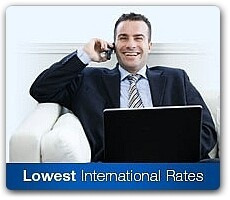 International Call To Any Number Globally With Savings Up To 90%. Connect On The First Attempt. The service can be used from the U.S. and from many other countries. You can use local access numbers in major cities throughout the world. Make calls to and from your country. No equipment to buy or computer needed -just your cell or landline phone. You do not need an international calling plan from your local phone provider or cell provider to use these services.